The scalloped straps of this summery sandal give the design a decidedly feminine feel. 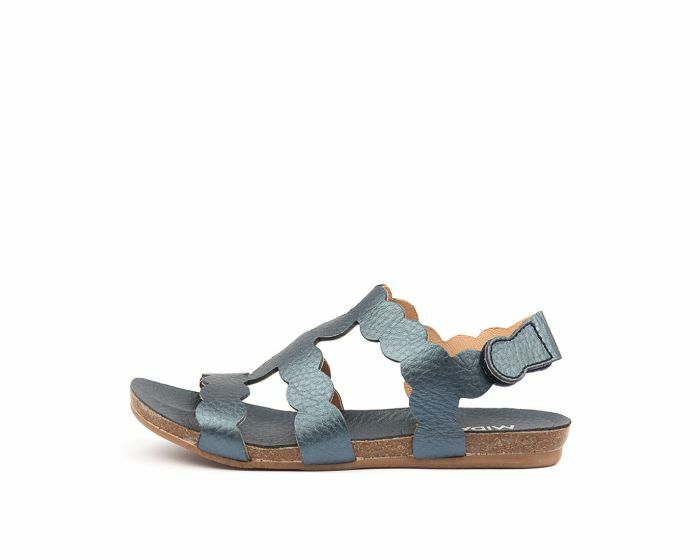 Crafted in Spain from high quality leather, this shimmering style features a supportive sole that is perfect for long days on your feet, along with an adjustable ankle strap with rip-tape closure to allow for a secure fit. A failsafe option for the warmer months, this gorgeous option can be styled with skirts, shorts or dresses.